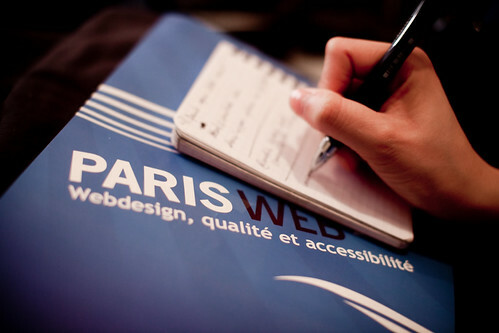 Paris Web is a French conference organised each year and revolving around questions of web accessibility, quality and design. For its fifth edition, the conference wants to broaden its subject base and suggests that you think of this question:“Improve the user experience through appropriate design and contents” (non-limiting question). estimated level of the audience. 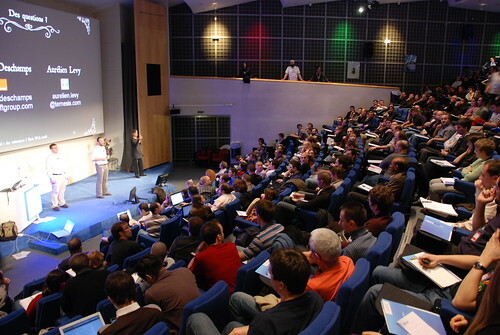 If you want to have a look at what it's like, there are close to 1,600 pictures of past Paris Web events on Flick.